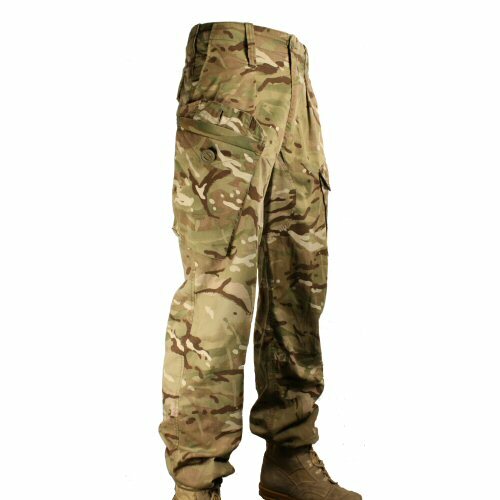 British Forces issued MTP trousers in Personal Clothing System (PCS) cut are the combat ready trousers with enhancements to improve comfort and performance. The trousers are slightly wider fitting on the hips and thighs than the S95 trousers. 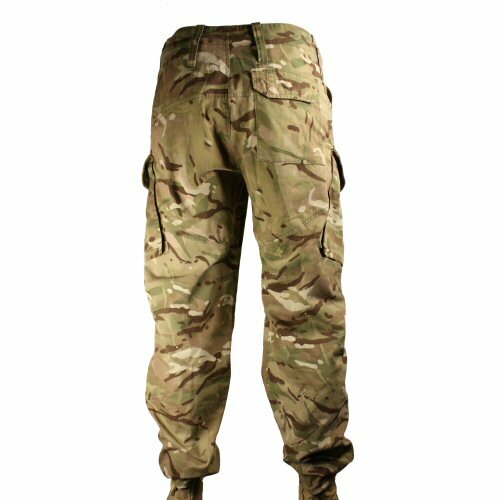 The trousers feature two hip pockets with mesh lining, one zip pocket in hip pocket, two large bellows leg pockets mounted at an angle for easier access when wearing body armour, seat pocket. The pocket lids are closed with concealed tape buttons to reduce snagging. The belt loops are extra wide to accommodate duty belts and the loops located just above the hip pockets have an extra length loop sewn in for attaching lanyards which retain items stored within the pockets. The gusset of the trousers is sewn in a separate panel to reduce chafing when walking or sitting. The ankles also have drawstrings to allow the trousers to be bloused quickly. 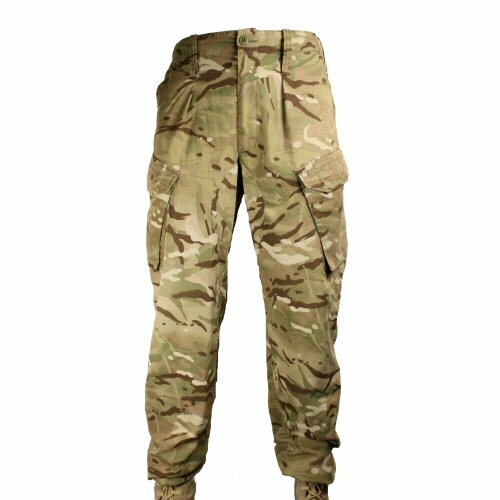 The trousers are made of lightweight cotton-poly for use with the layering principle of clothing, allowing them to be worn in hot and cold weather. The trousers are used, and may have minor modifications or damage from previous use; all essential waist buttons and zip flies are fully functional and no damage to seams. 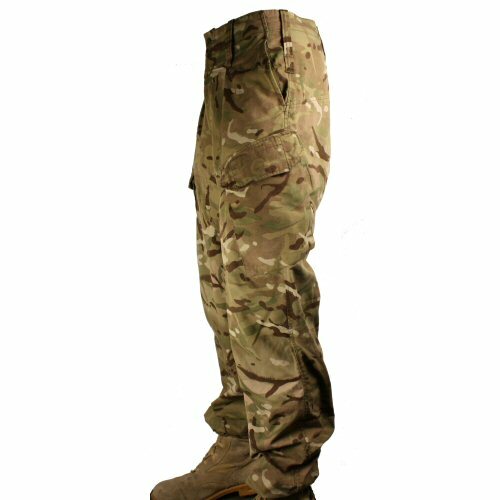 Sizes are subject to availability from surplus: 28R (80/72/92), 33R (80/84/100), 33L (85/84/100), 34R (80/88/104), 34L (85/88/104), 36R (80/92/108), 36L (85/92/108). Available options are: 28R , 31S , 33S , 33R , 33L , 34S , 34R , 34L , 36S , 36R , 36L , 36XL , 38R , 39R , 39XL , 41L , 44L .